Portfranc Logistics was founded in 2017 with the mission of offering oil-free onshore and offshore transportation services. These services are created to accelerate the deployment of local and transcontinental sustainable mobility. Convinced that the transition of energy cannot be implemented soon enough, we are launching the initial 21st century transatlantic route conveyed by the force of the wind, between France and Canada. On both sides of the Atlantic, electric vehicles, we will transport goods from our partner’s European and Canadian workshops directly to the ports of Montreal and La Rochelle. They will then be delivered to our customer’s shops and homes. With the help of the Government of Quebec, as of July 2017, we plan to operate the La Rochelle - Montréal commercial route with a minimum of five crossings by 2020. 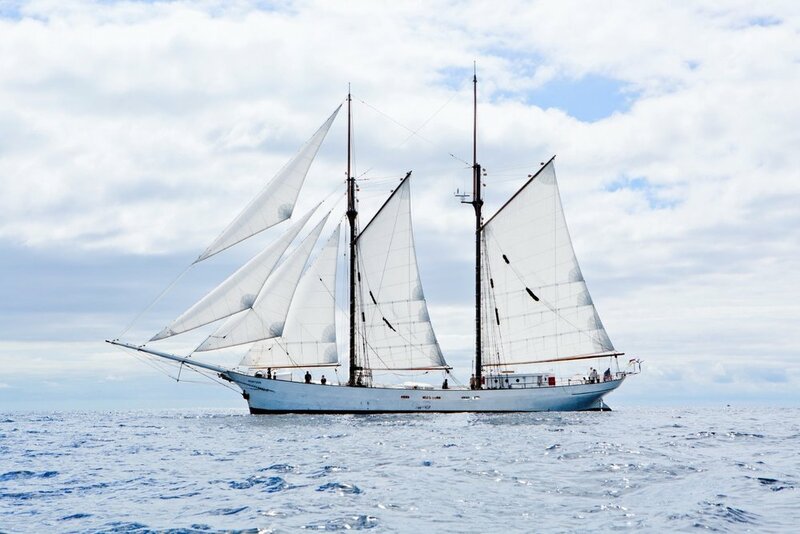 The schooner will then sail every spring and summer before adding a new generation of super-sailboats to our fleet, enabling us to compete with the current cargo ships. In Europe, we rely on the rail system and electric trucks. For some long distances, if circumstances and resources requires anything else we use natural gas trucks. In Montreal, our Nordresa vehicles cover the heart of the city from our Mile-Ex intermodal warehouse. We thank the Government of Quebec for its decisive support in the implementation of this project. We would also like to acknowledge the contribution made by our main partners, Champagne Nicolas Feuillatte,the Champagne Committee and the La Rochelle Marina. Built with experts from all sectors covered, supports the evolution and growth of our technological solutions by advising us on how to adopt the most innovative and reliable resources.